Cal Poly graphic communication students won two awards for a pop-up mailer at the annual Phoenix Challenge Flexo Packaging Competition on May 2. For the yearlong Phoenix Challenge, student teams select a local company to rebrand and market its business with collateral materials using the flexographic print process — a technique that uses a flexible plate to print on a variety of materials. The Cal Poly team, which competed with eight other schools in Nashville, Tenn., received Best Concept and Best Graphics awards. 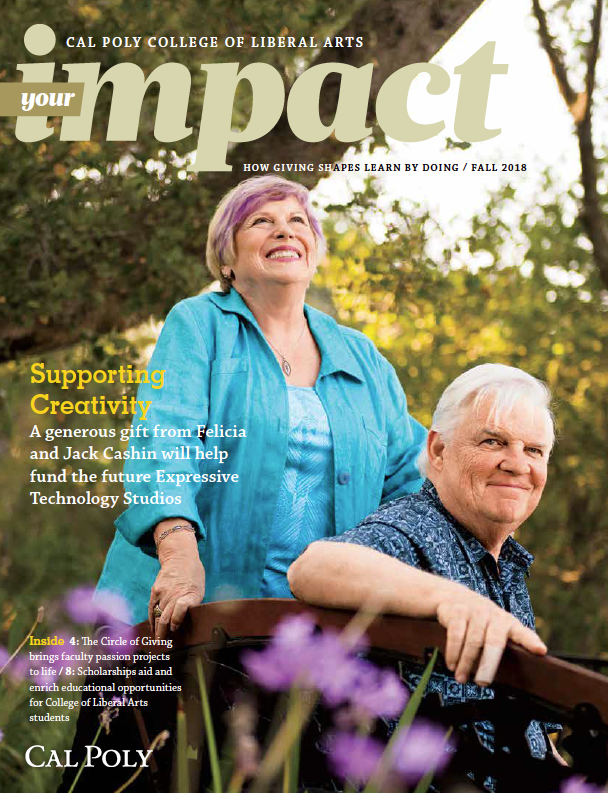 This year, Cal Poly’s team worked with The Great American Melodrama & Vaudeville, a live-theater in Oceano, Calif. Cal Poly students developed a pop-up mailer shaped like a theater with a Soft Touch Coating, which creates a velvety texture to engage consumers’ tactile senses. 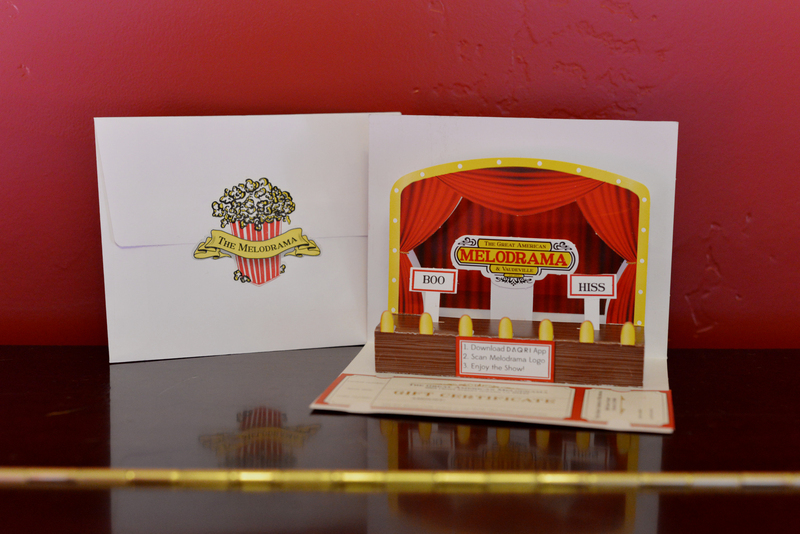 The mailer incorporates augmented reality into the design, which when combined with a smart phone, adds computer-generated elements to the paper product to create popcorn popping at a virtual Melodrama concession. Daqri, an augmented reality developer, donated the smart phone app. The popcorn motif extended to the back of the mailer envelope. The students created a seal with a butter-scented coating. Consumers will notice the unmistakable scent of buttered popcorn when they open the mailer. The team also redesigned the melodrama’s gift certificate with an updated logo, gold metallic ink and microtype on the back for security printing. 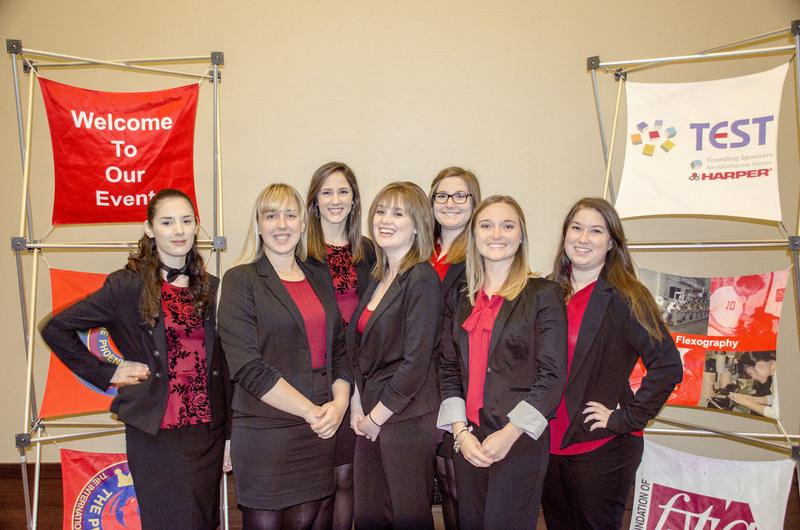 Students Isabella Baldwin, Mikayla Byars, Leeana Diaz, Taylor Fenster, Hannah Giorgi, Kristen Minlschmidt, and team leader Meredith Stewart spent the last academic year brainstorming, researching and preparing for the competition. The team capitalized on Cal Poly’s Learn by Doing teaching philosophy by printing and converting everything on Graphic Communication Department equipment. In addition, Cal Poly received a silver medal for print excellence for the 2014 Phoenix Challenge team’s thermochromic wine tag, which turns blue when the wine bottle is chilled to the proper temperature. The award was announced at the Flexographic Technical Association’s Forum Banquet.